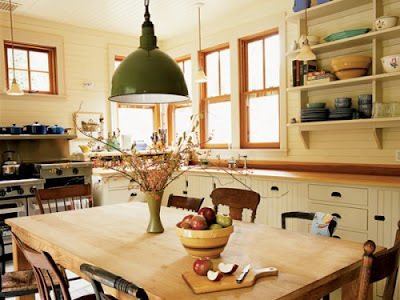 Rie over at Home and Harmony posted about Houzz today. What a wonderful site. 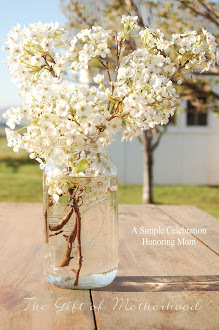 It is almost as great as sitting with a cup of tea and thumbing through your favorite decorating magazine. You can create your own "idea book" full of images that you find inspiring. Here are a few that I loved. 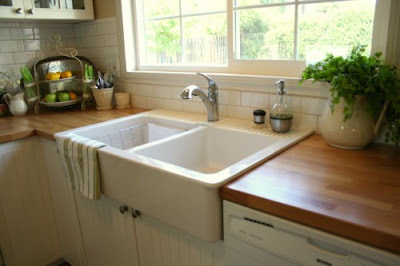 An apron sink is one of my dreams. Just look at all that room! My dishes could pile and no one could see them. I love, love the look of mismatched chairs. Crisp whites, off white walls, and pops of red....these are a few of my favorite things:0). You can pop on over to Houzz and start your own "idea book." 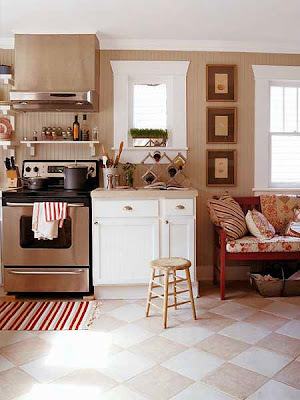 There are thousands of home decorating images from kitchens to closet spaces. What a fun way to spend a rainy afternoon. Even my sweet girl had fun day dreaming with me. I love the apron sink too! It's in my wish list book...I've been making one since we were kids. Some day...I'll have a house and a little plat of land. Do you do any canning? It's kind of my new obsession and what I'm planning on spending my summer learning to do. When you are ready to get that new sink let me know. My good friend is a plummer and he seems to always be able to find really good deals. I love canning Ara! So far I have only attempted water bathing, but I hope to buy a pressure canner this year. It really is a fun thing to do and VERY easy! Each year I get a little better at it and put up more. It really helps with the food budget and I like knowing exactly where my food came from:0). Let me know how it goes! I'm not an expert, but I'd love to help you in any way I can. Thanks for the tip about the apron sink! You are so sweet:0). Thanks for linking me. :) That first sink is an Ikea sink. It's very affordable! I've long admired it myself. I love your blog heading... so pretty. Hi Jules! I LOVED this site! Thanks you so much for sharing! I've started my own collection...the only trouble is I was up way too late last night "dreaming" ; ) I know I've told you before, but I'm thoroughly enjoying your blog!